Stepping away from the Grand Canyon was a difficult task for me. I thoroughly enjoyed every minute of the Grand Canyon. We enjoyed brutal heat and shaded strolls; we camped in the valley and on the cliff’s edge; and in total we covered over fifty miles of beautiful canyon lands. We packed up our tent and sleeping bags, we gazed one final time out from Cape Final Point and we walked away from the Grand Canyon. Of course there will be a next time, but our tour of the Southwest went in search of another thing- water. We drove north and descended four thousand feet into the desert. We cruised through the canyons and sand fields admiring all the beauty around us. 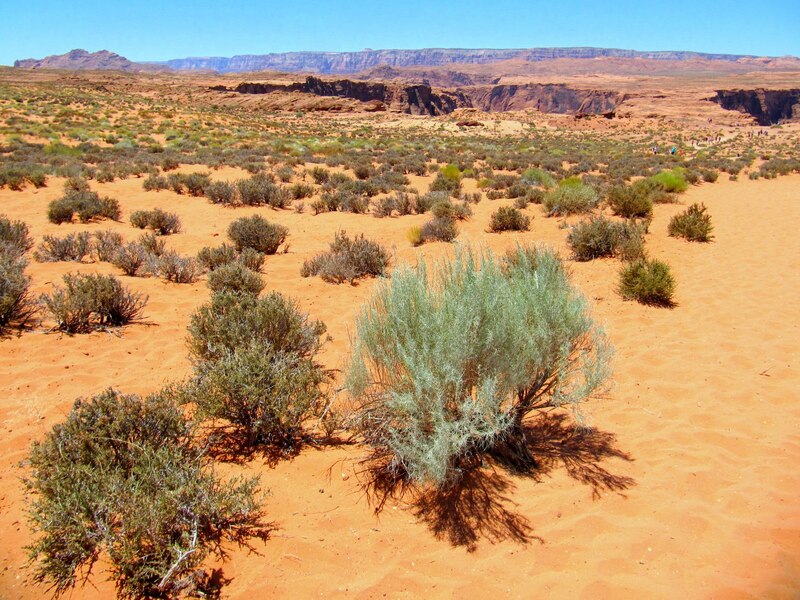 The pastel green sage brush flourishes on the coral colored sand that stretches forever into the desert. 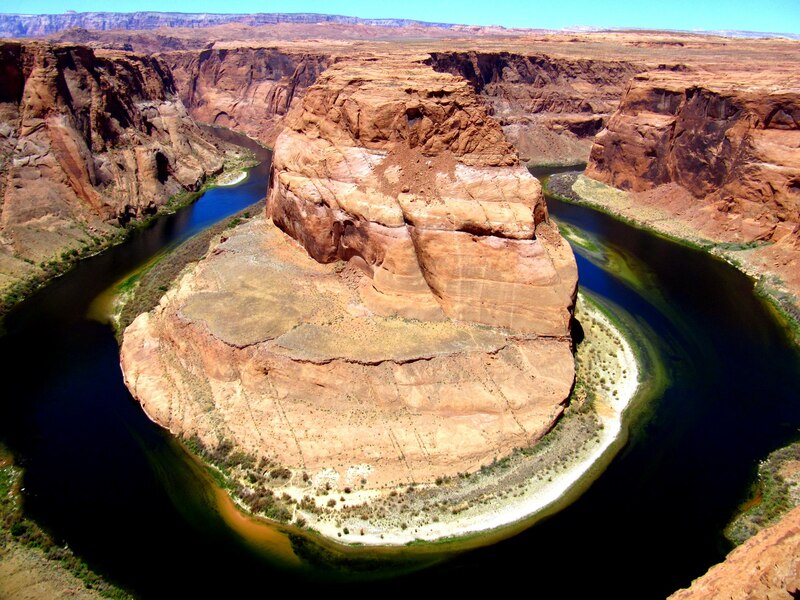 Then we met up with a seemingly impossible and striking section of the Colorado River called Horseshoe Bend. The meandering of the river has slowly carved out these drastic curves into the rock. Eventually the two ends of the horseshoe will meet and only a column of rock will remain. This section just above the Grand Canyon is the last remaining visible portion of Glen Canyon. 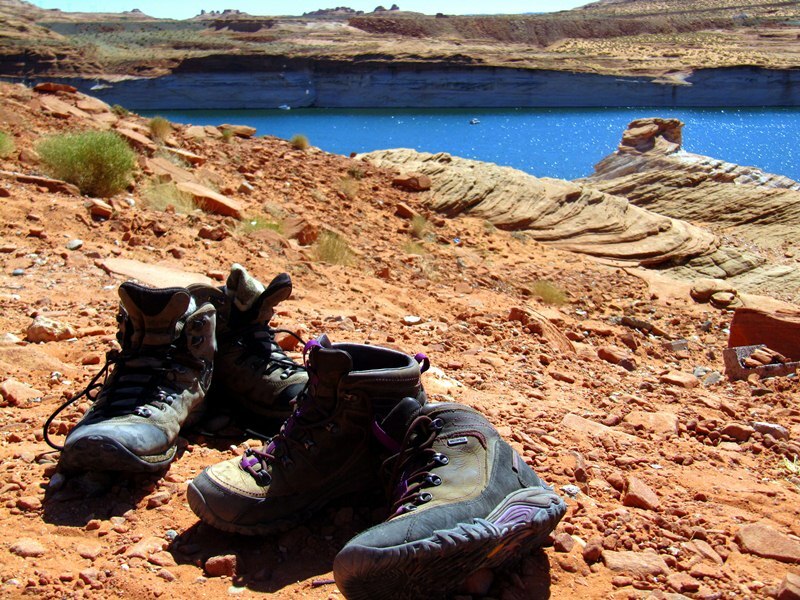 Glen canyon has all sorts of controversy around it. 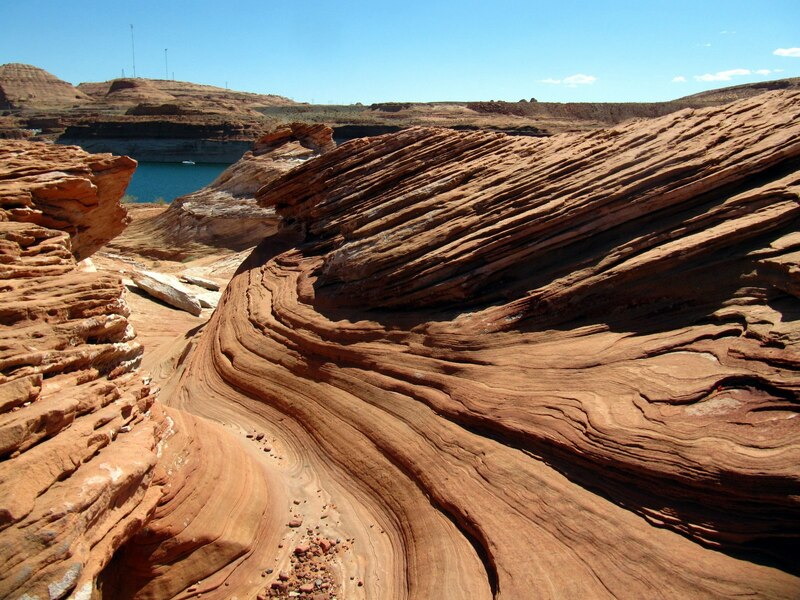 The upstream section of the Colorado River carved out numerous fingers into the bright red Navajo sandstone. The beauty and richness of the colors was supposedly unmatched by even the Grand Canyon. John Powell fought to conserve the canyons, but a dam was built, the lake filled and it was named after the man that tried to prevent it. The beauty of the canyons was transformed into a vast, but narrow lake of crystal blue waters. The lake intertwines in and out of ancient canyons leaving just a hint of the red and white rock exposed on the surface. The lake is beautiful in its own way, but different from the natural canyons that remain beneath the surface. 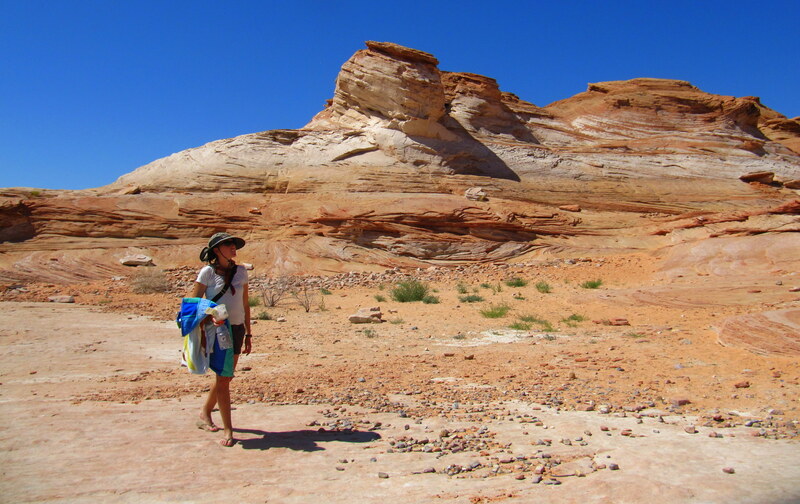 When we finally arrived into Page, Arizona the only thing on my mind was to find a way to go swimming. The temperatures teased around one hundred degrees and the locals kept telling us that it does not get really hot until September. Nevertheless we found a spot for our tent that doubled as a place to swim. We could sit with our feet in the water next to our campfire and only a few short steps away from tent. A trip to Arizona and Utah would never be complete without a slot canyon. 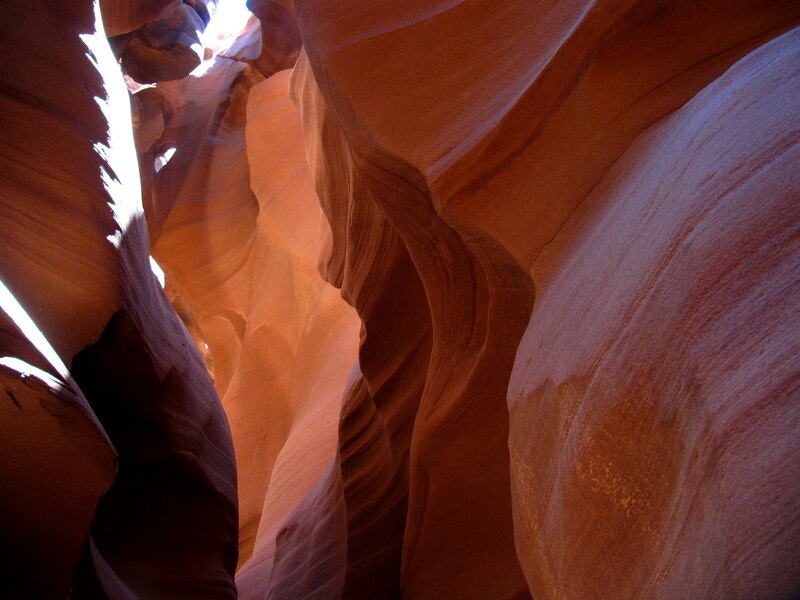 Slot canyons are narrow sections of rock where the water has carved out a passageway three to five feet wide. 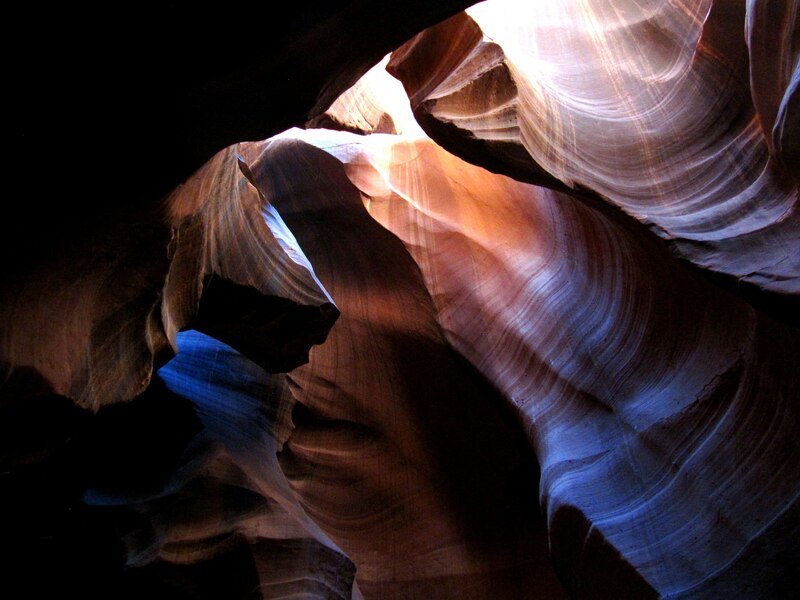 One of the most beautiful is the Antelope Canyon. The area is controlled by the Navajo Nation, and the tourists have arrived in hoards. The immense beauty is worth the shoulder to shoulder grappling for the perfect picture. 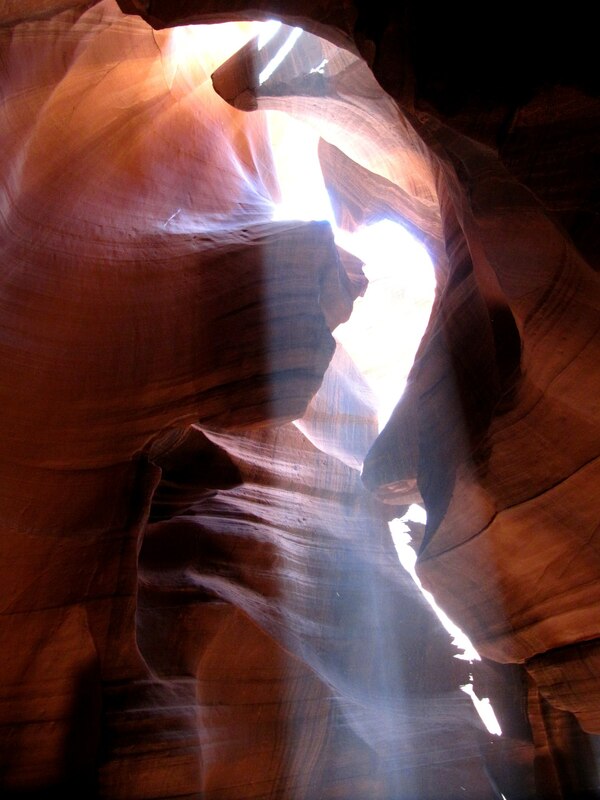 The Upper Antelope Canyon is roughly 100ft deep and entirely navajo sandstone. The light of the sun reflects of the red rock creating a rainbow of textures and colors. The formations communicate an ever-present flow of time and erosion. 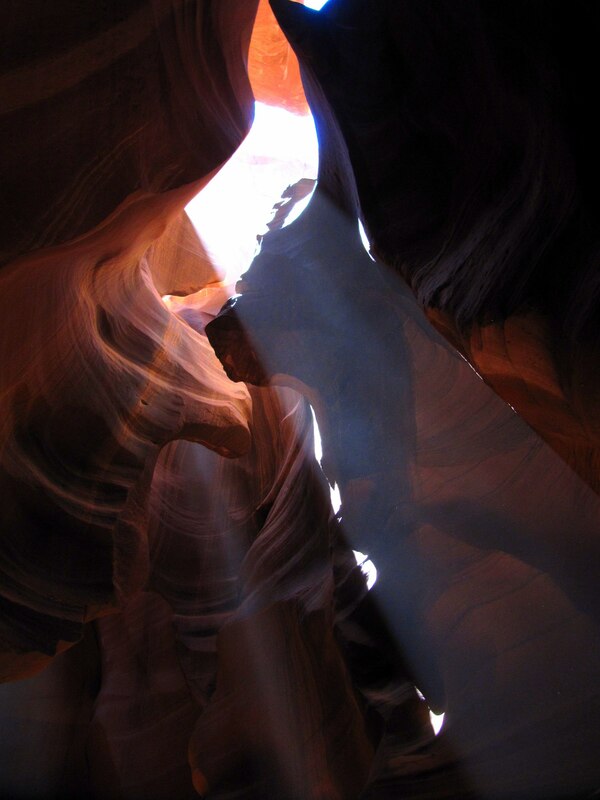 The most spectacular phenomenon occurs when the sun aligns perfectly into the depth of the canyon. 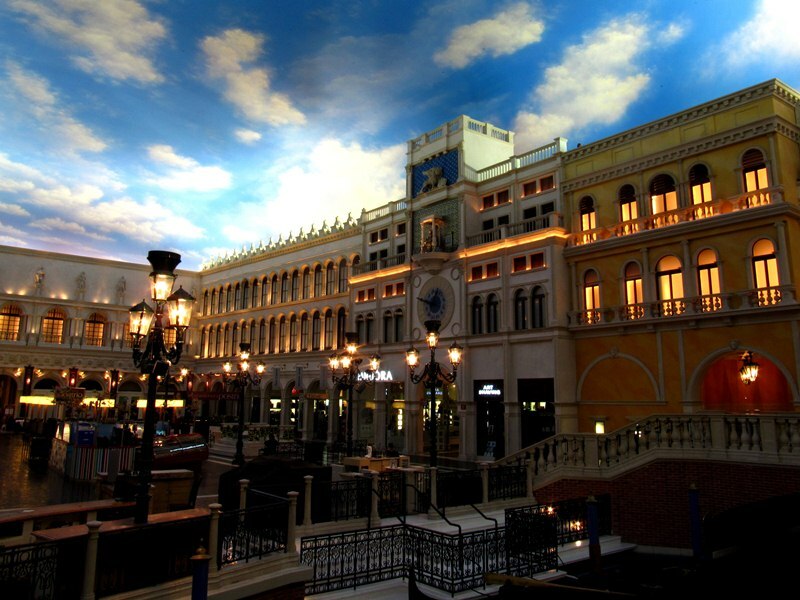 A little dust in the air creates a magical light beam that illuminates and intensifies the beauty. There was only enough time for a few quick photos before we were rushed out of the canyon into the sun. 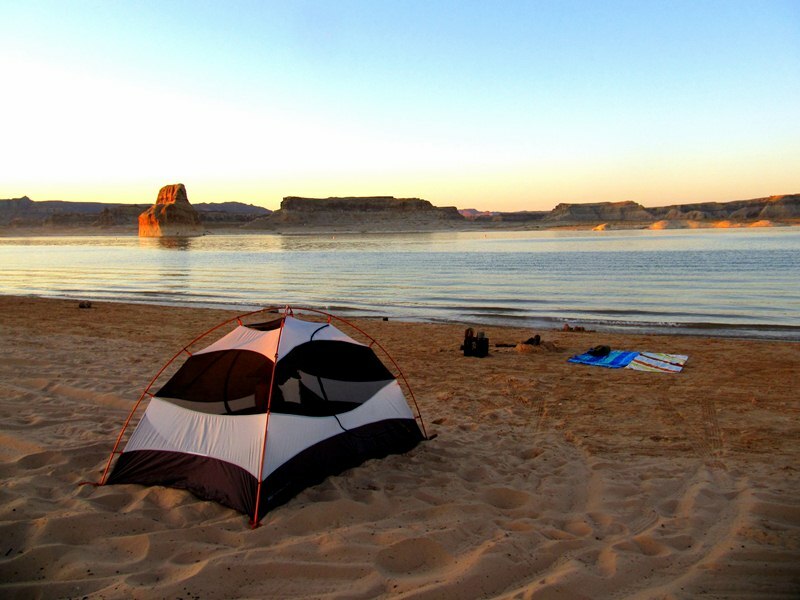 There was another great location to swim in Lake Powell just to the northeast of the dam. A short walk along the striped rock, boots removed and we were diving and jumping into the cool waters. In ten days we had camped on cliffs, under trees and in the desert heat. Our legs were tired and our clothes dirty, but that was no reason to stop us from having a little fun. 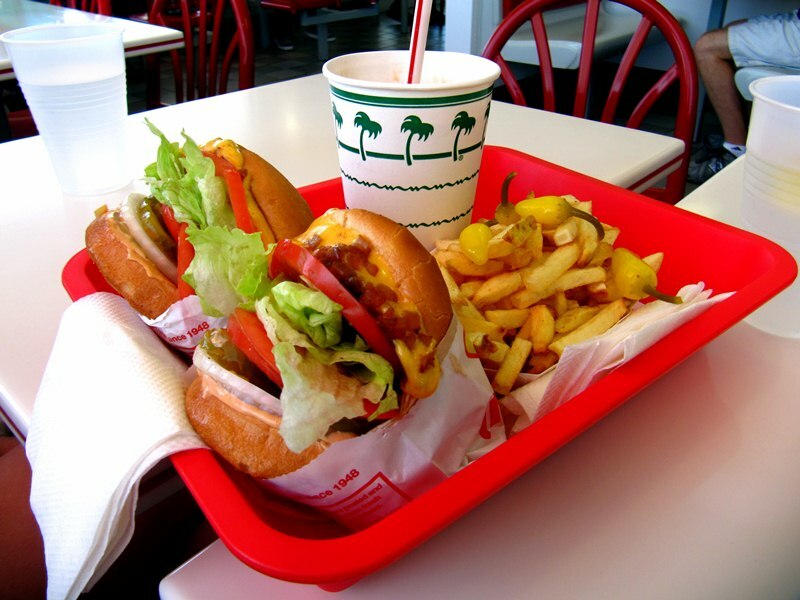 A key tradition of any road trip is a visit to In-N-Out. A read of Fast Food Nation and a taste of their legendary sandwich and anyone would agree that it is the perfect conclusion to a rigorous vacation. Carmen and I do not even order the burger; the grilled cheese with extra veggies is amazing. The fun continued with a layover in Las Vegas. 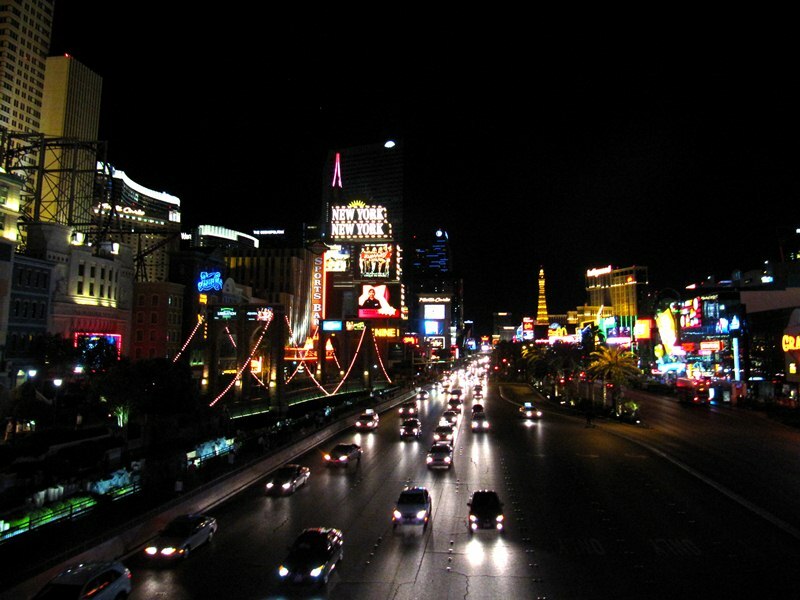 When given the choice of driving eleven hours straight to southern California or spending a night in Vegas, the decision was easy. We plopped our dusty packs into the air-conditioned room and we were on the streets taking in all the craziness. Stepping into casinos and the commotion of so many tourists was a shocker after spending so many hours isolated in the wilderness, but there were so many ways to be entertained! We decided to see a Cirque du Soleil show and we found ourselves at the box office ten minutes before show start. Lesson learned, smile and always ask for a discount! The kind woman worked with us, found us great seats and we saved $50 each. In seconds we were running up the stairs and watching the wonderfully done LOVE acrobatic show. 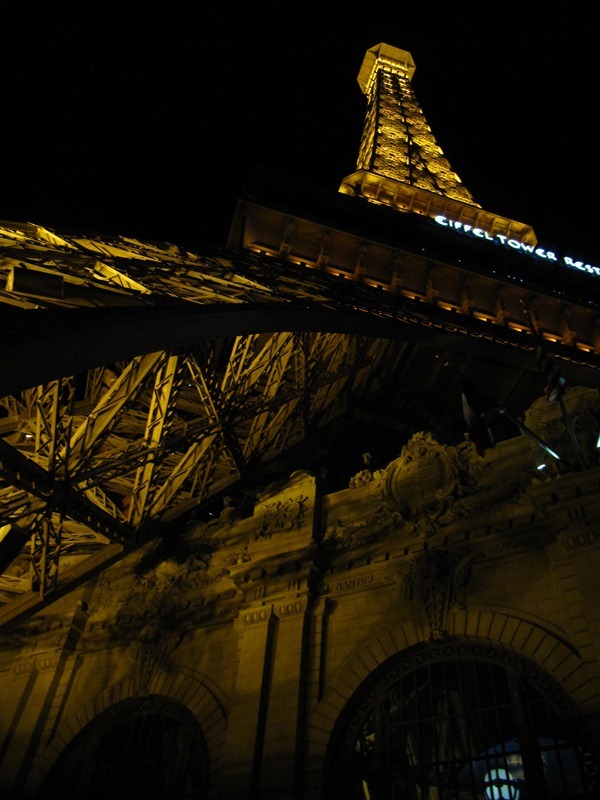 Our thrilling trip to the Grand Canyon, Lake Powell and Las Vegas came and went in a rush of excitement. I was constantly stunned by the detail and intricacy of every rock formation and I am amazed that Carmen and I were able to explore so much of it in so little time. These areas are a unique portion of the world with a beauty that is rich, vibrant and essential to any world traveler.